With rugby players, coaches and fans all moving toward a faster and more technical game, rugby referees are being asked to make quick decisions in this new expansive game. Referees have been focusing on fitness as a key component of their training to ensure they are in the right place to make the right call and best serve the game. World Rugby has led the way in mapping out fitness goals for their referees and the TRRA have followed this model. Referees are now training more like players throughout the week, mixing in strength training, running, referee skills and other items to help them prepare for matches. Having the endurance to be present and ready to make a tight call in those big matches has become an imperative. Being fit is one of those controllable that belongs solely to the referee. This new focus on fitness is another reason players are making the jump to refereeing, as they find the same challenge they had as a player. They can stay fit, stay on the field, and contribute to the success of a rugby match after they have finished their playing career. Being fit and focused to make clear calls will ultimately lead to good performances, which in turn builds your self-esteem and gives you confidence. There are amazing opportunities for a fit confident referee, who has fun and helps make the game fair and safe for the players. 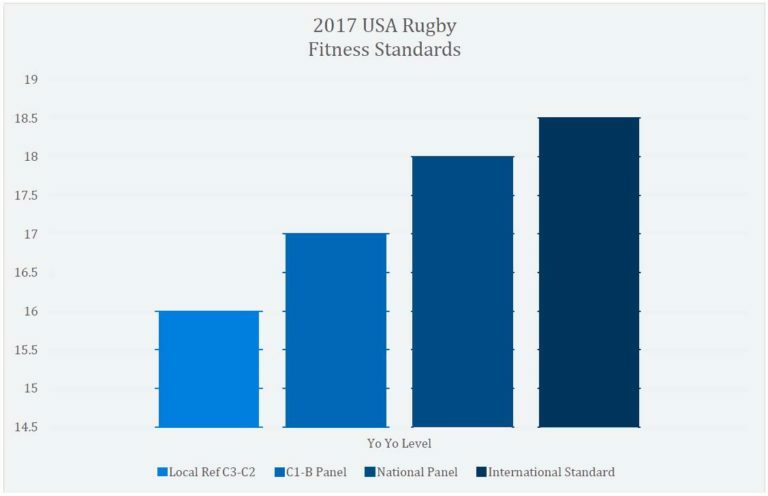 Reacting to the new needs in a fitter, faster game; the TRRA, along with USA Rugby is switching their fitness testing protocols from the beep test to the Yo-Yo Intermittent Recovery Test. This new test mirrors a referees activities on the field, puts the TRRA in line with World Rugby’s testing protocols, and gives referees a new opportunity to show their hard work through fitness testing. Although the same 20-meter shuttle structure, the Yo-Yo gives the participants a 10-second recovery after each shuttle, which better simulates the start and stop nature of a game. Markers are to be set in lanes at 0m, 5m and 25m. The start position is at 5m, creating a 20m shuttle and a 5m recovery lane. Educate the athlete on the testing procedure and begin the Yo-Yo IRL1 audio track. The Yo-Yo IRL1 audio track produces a single ‘beep’ at regular intervals. Athletes must complete the 20m shuttle in time with the ‘beeps’ followed by a 10 second active recovery in the 5m recovery lane to be completed in time with the ‘beeps’. The athlete’s foot needs to be placed on or over the line in time with the ‘beep’ at each 20m shuttle marker and the athlete must come to a stationary position at the start line at the end of the active recovery before the next ‘beep’. A rolling start is to be avoided. Athletes will be eliminated if they do not reach the start position within the time frame (‘beep’) on any two occasions. A warning is provided on the first occasion. The athlete’s score for the test is the level and number of shuttles completed successfully. The shuttle where the second failure occurs is not counted e.g. second failure occurs at level 19.2, the athlete’s score is 19.1. Where an athlete withdraws before a second failure occurs, the last shuttle completed successfully is their score. A heart rate monitor can be worn to record Final Heart Rate at the completion of the test. 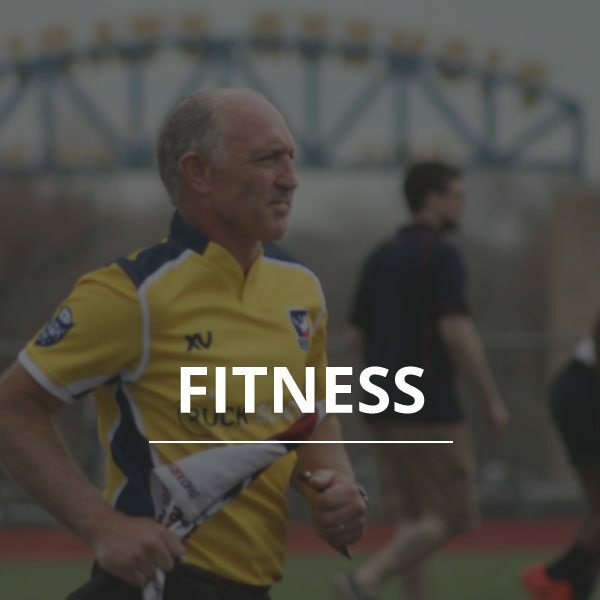 Athlete score is to be emailed to the RATO with Optional Final Heart Rate. NOTE: You can use either this Beep Test audio file (BONUS: has the beep in the middle!) or the “Beep Test Trainer” app and it can be downloaded from iTunes. To be considered for a grade promotion, you must achieve the standard within twelve months of the active season. Bi-annual testing is due by January (Spring) and September (Fall). Both the beep test and YoYo test are acceptable.